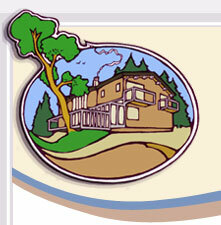 The B B ~ Lyall Harbour Bed & Breakfast, Saturna Island, British Columbia, Canada, A quality gulf island accommodation. 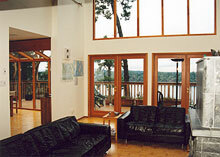 Lyall Harbour Bed & Breakfast on Saturna Island is open year round. 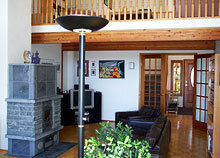 We invite you to relax and enjoy in the comfort of our waterfront home overlooking Lyall Harbour. Our west-coast style post and beam house has large open areas with wood and glass, high ceilings, and hardwood floors throughout. There are two comfortable lounges for our guests to enjoy. The main floor has a large soapstone fireplace providing warmth and comfort on a cold and rainy day. The upstairs lounge, with a plush armchair and couch, is an ideal place to curl up and relax with a good book or your laptop. High-speed wireless is provided. Original artwork is featured throughout the house and guest rooms. We encourage our guests to “make themselves at home” and enjoy their stay. Complimentary tea and coffee is available.